is dedicated to providing you with the best in customer service. Below are the answers to many of the most common questions we receive. If your questions are not answered here, please feel free to contact your nearest facility and speak to one of our self storage professionals. For how long do I have to sign up? We offer month-to-month leases, meaning no long-term contracts and no commitment. Our gate access is open every day for your convenience. Our office hours vary per location. Please contact the facility nearest you for further information. We require a 7-day written notice to move out. Full details on the vacating policy will be provided for you at the time of move-in. Although we don’t offer a mover, we do offer free use of our moving truck at move-in (participating facilities only). Please contact the facility near you for full details. We would also be more than happy to recommend a local reliable mover. Payments can be processed by mail, in person, or through our website. You may also arrange to have payment be automatically deducted from your credit card. Please ask your manager about this feature. All of our facilities are equipped with a payment drop box; however, we do not recommend this for cash payments. 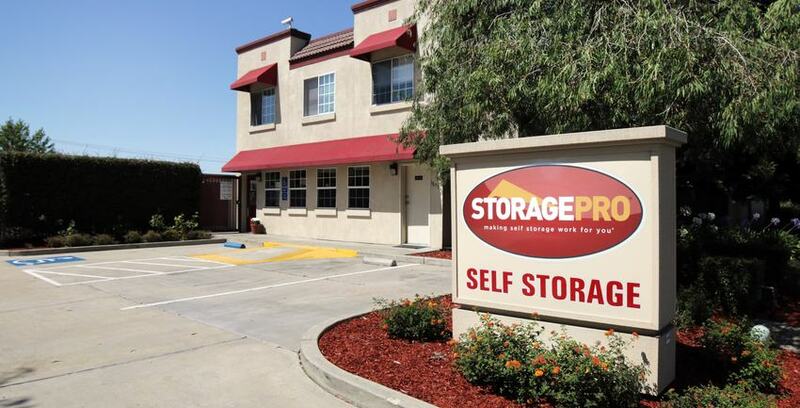 StoragePRO tenants can now use PayNearMe to pay their rent with cash at 17,000 7-Eleven, Family Dollar, and ACE Cash Express locations nationwide. Simply take your cash and a PayNearMe Card or PaySlip to a nearby payment location to pay your rent. You'll receive a receipt confirming payment, and your storage manager will be notified instantly of your payment. Please contact your storage manager to receive a free PayNearMe Card or PaySlip. We have a wide variety of unit sizes to meet your needs. Unit sizes and prices vary by location. Please contact the facility near you for available sizes and prices. Our expert managers can assist you in determining the right size. Just give us a brief description of what will be stored and we’ll help you determine how much space is needed. We accept Visa, MasterCard, American Express, and Discover! Please ask about our credit card auto-pay program. We also accept checks and cash. Yes, we offer a wide variety of boxes and packing supplies. If purchased the day of lease signing you will receive a 10% discount on moving boxes and moving supplies (at participating facilities). Contact your local facility for participation information and full details. Yes, we have spaces for boats, RVs, commercial vehicles, semi-trailers, trucks, and cars at most of our storage locations. Please find the storage location nearest you for further information. Yes, we offer refrigerated wine storage at our Napa location.